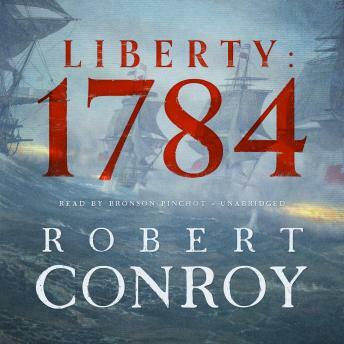 Listen to "Liberty: 1784" on your iOS and Android device. A compelling alternate-history novel by the breakout author of WWII-era alternate history Himmler's War and Rising SunThe British win the American Revolutionary War, and a desperate Washington and the American founders must make a last stand in an enclave called Liberty.In 1781, George Washington's attempt to trap the British under Cornwallis at Yorktown ends catastrophically when the French fleet is destroyed in the Battle of the Capes. The revolution collapses, and the British begin a bloody reign of terror. A group of rebels flees westward and sets up a colony near what is now Chicago. They call it Liberty. The British, looking to finish what they started, send a very large force under Burgoyne to destroy them. Burgoyne is desperate for redemption and the Americans are equally desperate to survive.Had the Battle of the Capes gone differently, a changed, darker New World would have been forced into existence. But even under those dire circumstances, Liberty may still find a way!